Iconic Horror Director Wes Craven died Sunday in Los Angeles after a battle with brain cancer, according to multiple reports. He was 76. The news of his death was confirmed by a representative to The Daily Beast and in a statement from his family released to Buzzfeed. "It is with deep sadness we inform you that Wes Craven passed away at 1 p.m. on Sunday, Aug. 30, after battling brain cancer," the statement reads. "He was 76 years old. 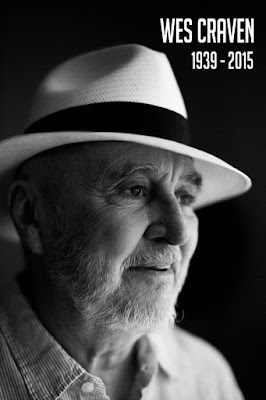 Craven was surrounded by love, in the presence of his family at home in Los Angeles." The filmmaker made his writing/directing debut with The Last House on the Left in 1972, unnerving moviegoers five years later with X-rated road-trip slasher The Hills Have Eyes. Hills spawned four sequels, including two reboot installments in the mid-2000s (Craven co-wrote 2007's The Hills Have Eyes 2 with his son, Jonathan Craven). But he made his most indelible mark with A Nightmare On Elm Street in 1984, introducing the fedora-wearing, metal-glove-clad serial killer Freddy Krueger into pop culture. Starring Johnny Depp in one of his earliest roles, the box-office triumph was continued by eight sequels (the most recent, a 2010 reboot of the same name). Other notable credits include the Scream franchise, drama Music of the Heart with Meryl Streep, Rachel McAdams thriller Red Eye and episodes of The Twilight Zone in the mid-'80s.